When shopping for auto insurance it pays to pay attention. There are some questions you should ask and warning signs you should heed when shopping for auto insurance. It’s always a good idea to check the Better Business Bureau before accepting a car insurance plan, and it’s even better if the insurance agency is BBB accredited. Businesses that are BBB accredited have to pass certain standards to become BBB accredited. Those standards involve being in business for at least 12 months, meeting all licensing and bonding requirements pertinent to the industry, meet all advertising and selling standards, honor promises, protect customer privacy and have integrity when doing business. If the business doesn’t meet those standards, they will not have BBB accreditation. If the company is not accredited by the BBB, it’s a good idea to research the BBB database to see any complaints have been lodged against them. The idea is to be fully aware of the practices and past issues of the insurance agency you’re about to do business with. Once you decide on an actual insurance agency and receive the quote, read it in its entirety. Sometimes there are hidden fees in the billing statements and deductibles before any insurance payment is paid out in the event of an accident. It’s important to know those hidden fees prior to signing the paperwork and to fully understand the deductibles. A $5,000 deductible doesn’t do you any good if you don’t have $5,000 in the bank no matter the cost of the monthly insurance, and chances are good that if it’s a really low quote, it has a really high deductible or doesn’t cover everything you need it to cover. Remember, insurance is for what you can’t afford to replace, and if the deductible is for more than the car is worth or more than you can afford to pay out of pocket, the insurance policy doesn’t do you any good. Make sure the auto insurance company you’re about to do business with has a current license. It is illegal to sell insurance without a license, and you’re almost guaranteed that the company is fraudulent if they don’t have a license. To make sure they are legitimate, also check with your states insurance department to make sure the insurance company you’re about to do business with is registered. If they aren’t registered, they aren’t legitimate and you should avoid them at all costs. The last thing to ask your insurance agent about is any hidden fees. Do they charge a processing or transaction fee? Do they charge to accept checks? Is it cheaper to have an automatic debit or to make manual payments? These are things you need to know before you sign the paperwork. Hidden fees and charges can add between $5 and $10 a month to an insurance bill. It’s also imperative to ask what they do with overpayments. Occasionally, insurance companies will reassess your insurance policy and determine if you owe more or less than you’re currently paying. Ask what they do with overpayments and how they handle underpayments. Insurance companies make a profit by collecting more in premiums than they pay out for claims. Customers who are at a high risk of getting into an accident, or whose vehicles would be expensive to repair in the event of a claim, pay higher premiums to compensate for the cost. In order to determine what rates to charge, insurance companies rely heavily upon statistics, especially in instances where data for a specific driver is unknown. Insurance companies invest a lot of time into collecting claims data and compiling the information, and look at everything from the age of the driver to the times of a day a person drives or the amount of traffic in a driver’s city. Insurance companies cannot discriminate against a driver based on ethnicity, race, or disability. Gender and age do affect insurance premiums, however, as does credit score. Credit score affects insurance premiums not just because people with poor credit may not pay their premiums on time, but also because people with poor credit are more likely to file claims than those with good credit. People with poor credit may not be involved in more accidents, but they’re less likely to have extra income on hand to pay for repairs, and insurance companies recognize this statistical correlation. · Young drivers do not have any driving history go base premiums on, so the company relies heavily on statistical data. · 61 percent of teenager passengers who die in car accidents are passengers in a vehicle driven by another teen. · Teens are at a high risk of driving under the influence; 25 percent of teen auto accident fatalities involve alcohol. Once a teenager has driven for several years and proven himself safe, his rates will be decreased. Teens can enjoy some relief from high premiums by taking additional driver’s education courses, as these encourage safe driving habits and are seen positively by insurance companies. In addition to demographic information about a driver, insurance companies also take a driver’s location into consideration when deciding on rates. More accidents happen in cities and congested areas than in rural areas, due to the number of drivers and the likelihood of accidents occurring in heavy traffic. People who live in highly populated states will tend to pay more in insurance than those who live in sparsely populated areas, as do people who live in big cities as opposed to suburbs or small towns. Insurance companies rely on statistical information to determine base rates for policies, but drivers are always able to save money on car insurance by driving safely, taking advantage of company discounts, or increasing security on a policy. Overall, statistics serve as a baseline for an insurance company; specific rates are always changing to reflect your driving record. 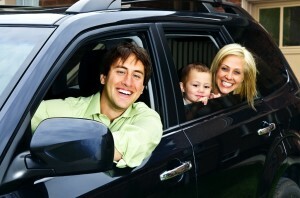 By making safe choices and utilizing discounts, you can counteract the effect of statistics on your insurance rates. There is an old saying that you get what you pay for. In car insurance, that could mean the difference between having your car repaired quickly and painlessly and waiting for weeks to speak to an agent while your car sits broken in your driveway. Grabbing the cheapest car insurance is tempting during these times when every penny counts, but in the long run, it could cost more than it’s worth in time and frustration. Cheap insurance is not too hard to find right now. Several national insurance companies offer web-based coverage for a song. It’s easy to sign up online, and you’re guaranteed to spend less than you would spend for an insurance company that offers more personal service. You will enjoy the satisfaction that comes from saving money on your insurance as you send off your lower premium payment every month. You’ll stay in compliance with the legal minimums while you pay as little as possible. In fact, you won’t notice any difference between your inexpensive insurance company and any other insurance company until you need to file a claim. When something happens and you need your insurance company, you might begin to wish you had spent a little extra on the policy. Cheap insurance costs less because the insurance companies generally invest less in service. You might find that your policy is handled by an agent who covers three or four states. You might spend weeks trying to contact an agent about a claim without ever reaching the agent in person. Some inexpensive insurance companies use call centers to interact with any customer call, which means that you might have to go through several layers of phone calls to reach a person who will be able to help you with your claim. Avoiding bad service from a cheap car insurance company doesn’t mean you have to spend top dollar on your policy. Customer service can improve dramatically for just a few dollars more each month. That extra expense can be worth it if you ever need to file a claim for damages to your car. A good insurance company will handle your claim in a timely manner so that you can be on the road again as quickly as possible. The time and hassle you save by using a reliable company is worth paying for. The key is to find good service at an affordable price. Do a little research before you commit to a new insurance company. Look online for customer review forums to see what kind of experiences previous customers have had with the company. It’s important to compare more than just price with insurance coverage. Remember, these are the people you’ll need to call when something bad happens to your car. When that day comes, you want the personal support that some of the cheapest companies simply can’t offer. Most people expect their insurance rates to go up after an accident that was determined to be their fault, but very few realize that their insurance rates can also go up after an accident that wasn’t even their fault. Even one tiny fender bender can cause your rates to go up when the time to renew your insurance policy finally rolls around again. Here are some reasons why your insurance rates will increase after an accident as well as some estimations of how much they will most likely increase. When deciding how much to charge you for an insurance policy, insurance companies have to take into account something called the risk factor. Every time you have an accident, the risk factor of you being involved in an accident increases slightly. If you are involved in one accident, there is a greater risk that you will be involved in another one. Even if you are involved in an accident that is deemed to be the fault of the other driver, if you have even one other accident on your record that was deemed to be your fault, you will begin to look prone to accidents to your insurer, and they might decide to increase your rates a second time. Some insurers will increase your rates if you are involved in multiple accidents even if none of them were deemed to have been caused by you. Because you were the common factor in all the accidents, the insurer may posit that something about your driving habits seems to tend to cause accidents, and they may deem you a greater risk to insure. Insurance companies also have to factor in the possibility of insurance fraud. You might, after all, be staging all those accidents in order to receive the payouts. The reason the amount by which your rates will rise is so hard to predict is because it varies greatly between states, insurance companies, and even accidents. If your accident was extremely severe, your insurance rates could increase by a substantial amount. If additional incriminating factors were involved, such as the presence of alcohol, you might not even be eligible for a policy renewal. You may still be able to find insurance, but it will probably cost you an arm and a leg. Although each insurance company is different, the average amount by which the average rate goes up after the average accident is usually somewhere around 20 to 40 percent. This may continue for as few as six months or as many as two or three years, after which you may be completely forgiven for the accident and your rates may begin to steadily go down. Any insurance discounts for which you may have been applicable prior to the accident will probably not be available to you in the aftermath. Defensive driver or safe driver discounts may never become available to you again, especially if you were at fault. The good news is that some states allow insurance companies to forgive or overlook minor accidents. If your insurance company has a lenient rating plan, your accident was small enough, and your state allows it, your rates might not go up at all. Red light cameras have been touted by law enforcement agencies as a great tool for reducing traffic fatalities. The cameras take a picture of any car that is caught in the intersection after the light turns red. From the photo, law enforcement can track down the driver and mail them a hefty fine. Traffic officers believe that the cameras will cut down the number of people racing through red lights, which would cut down on the number of deadly side impact accidents. In practice, however, the cameras seem to merely trade side impact collisions for rear impact collisions. As people approach the intersection with the camera installed, they tend to slam on their brakes as soon as they realize the light is changing. In many cases, this quick stop will lead to a crunch because the driver in the car following the braking vehicle doesn’t have enough time to adjust to the quick stop. It is true that rear impact collisions are far less dangerous than side impact collisions, but they still cause someone to need to file a claim with the car insurance company. Typical numbers from areas that use red light cameras show that the number of fatalities has decreased somewhat, but the number of accidents has remained steady. In fact, there are some areas where the fatality rates actually increased due to the unpredictable behavior of drivers as they approached these intersections. Since the number of accident claims hasn’t changed, there is no reason for car insurance companies to offer reduced rates for people who live in areas with the cameras. If the cameras can be directly related to increased accident rates, there is even a chance that car insurance premiums for people in these neighborhoods will go up based on their increased risk of filing a claim. Drivers in Florida have petitioned their car insurance companies for a special discount related to red light cameras. Car insurance companies typically offer discounts for drivers who find ways to decrease their risk of being involved in an accident, and the Florida drivers point to the cameras as accident deterrents. Local insurance company representatives have been resistant to the idea of creating a red light camera discount because they feel it would be redundant and unnecessary. Statistics have not supported claims that the cameras make intersections safer or reduce the number of insurance claims from residents who drive in the areas with cameras. Insurance rates are based in part on the overall safety of any geographical area. The companies examine accident rates and the severity of injuries in an average accident in a particular zip code, and they put together premiums based on a driver’s risk of being involved in an accident. If the cameras do reduce accidents, then the insurance rates for drivers in the districts with cameras would drop automatically as their intersections became safer. There is no need to create a new discount to cover dropping rates that could be attributed to the red light cameras in local intersections.